Nestled in the mouth of the Ute Valley pass, the small city of Manitou Springs has only 5000 residents and charm to spare. 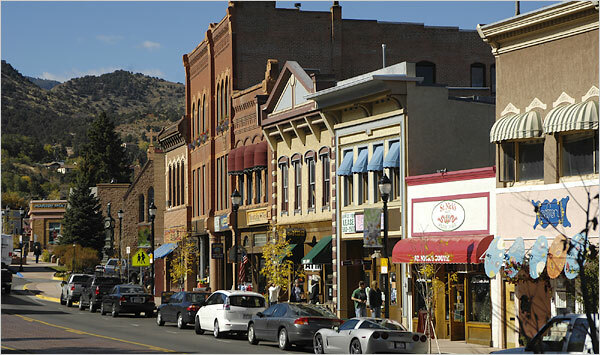 People come to Manitou (as the locals call it) to climb the Incline, enjoy the shops, restaurants, culture and views of the red rocks that surround this proud community. Housing options range from crazy small older homes, to modern condos to luxury custom homes in the foot hills. The neighborhood of Crystal Park is a gated community that offers beautiful acreage for custom home building. Very close to Garden of the Gods Park and only minutes from the mountain town Woodland Park in adjacent Teller County. Your day of recreating in the sun awaits. Manitou Springs is part of School District 14 and is home to Manitou Springs Elementary, Manitou Springs Middle School and Manitou Springs High School. Manitou Springs has several parks and hiking trails nearby. You can hike to the top of Pikes Peak via the Barr Trail. A section of the Intemann Trail runs through Manitou Springs. You can also try your luck hiking the Incline! If you just want to have a quiet picnic, you can enjoy your day at Soda Springs Park, Memorial Park, or Seven Minute Spring Park.